The Micro Scale from Travelon is one of the more unique of its kind. It differs from its counterparts in style and size, but despite looking kind of unusual, it’s actually one of the better scales on the market. Once a manufacturer of luggage carts, Travelon is one of today’s top brands for travel products and accessories. 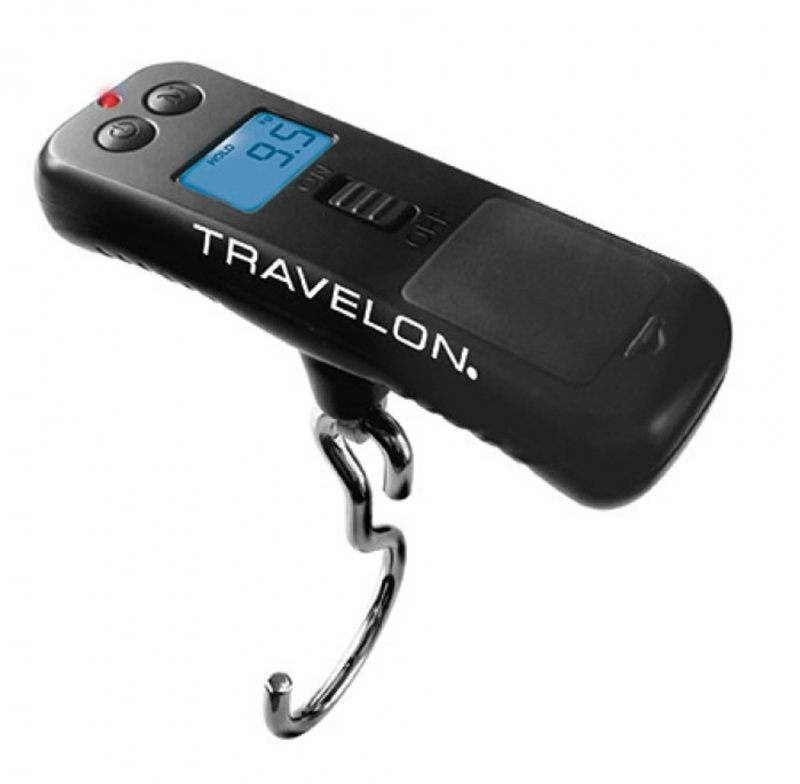 Think of any travel item you could possibly need, and there’s a good chance Travelon sells it. Their motto being “Travel easier and safer,” Travelon also offers a wide variety of wallets and luggage that are equipped with intricately designed anti-theft features that will keep your belongings safe. Part of what makes the Travelon Micro Scale unique is its size. It’s undoubtedly one of the smallest, if not the smallest scale out there (smaller than Swiftons or Camry). This will make it convenient to bring the scale with you since it won’t take up as much space. That advantage is offset by the metal hook, which could be more difficult to squeeze into a tight space than a soft nylon strap. The shorter handle also leaves less room to grip the scale, so if you’re measuring heavy luggage and you’re on the weaker side, you might have a slightly more difficult time lifting your luggage. While it does add some bulk, the metal hook is actually a huge advantage. Placing the metal hook around the handle is less time consuming than threading a nylon strap around it. You also don’t have to deal with the annoyance of a nylon strap getting tangled. As far as accuracy, the scale was consistent and accurate for three different bags over three different trials for each bag. With a metal hook, there are less discrepancies with tension given that it’s made from hard metal, increasing the likelihood that the reading will be accurate. Truthfully, being so used to using scales with the soft strap, it was kind of jarring to see a big metal hook. But in terms of accuracy and functionality, I actually think this design is advantageous. Using the scale is extremely straightforward. 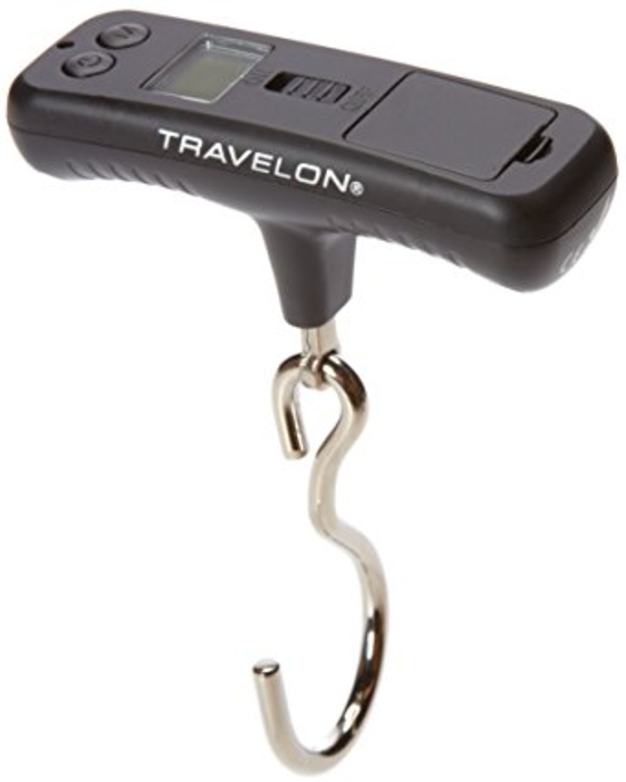 You hook the scale onto your luggage, turn it on, and lift. A red light will go off when the measurement is finished being taken. Overall, this is pretty much your basic on/off luggage scale. But the compact design and metal hook are huge advantages, and definitely make this an above-average scale. 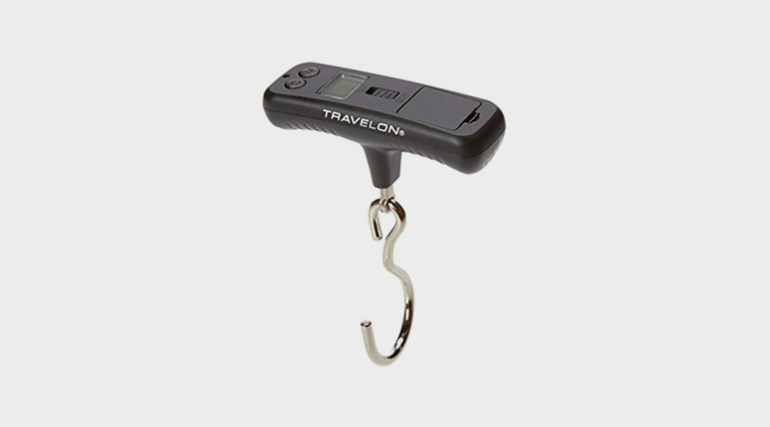 Interested in Purchasing the Travelon Luggage Scale?